We want to enlarge and renew the kitchen of the meadow. For this we would like to lay stone slabs on the floor. Have you got something suitable, which you do not need any longer, then we would be very pleased if you would drop it off. Many thanks! As you can read here, run for your life are on their way to Paris and they are here in the Forest now. Today, Friday, Nov. 27th, we are going to demonstrate with them, departing from the Forest, to Buir. Good night from the Hambach Forest! 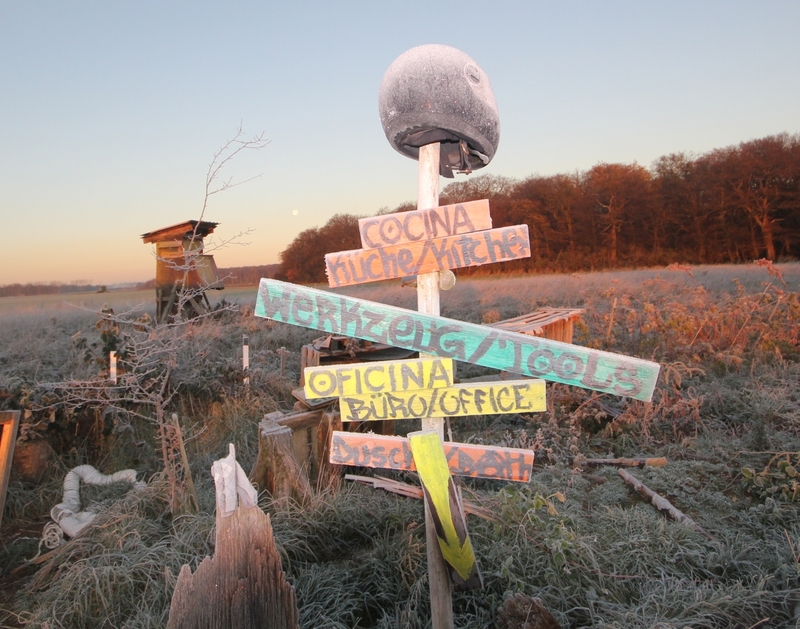 Dear friends of the Hambach Forest! This Saturday we want to share a Freebirds27 concert in the Hambach Forest for and with you and at your place. The wonderful TS Steel from the United States comes along and we share some fellowship and strengthening. It may be many people that it will attract from outside. Come in numerously, it is really worth! 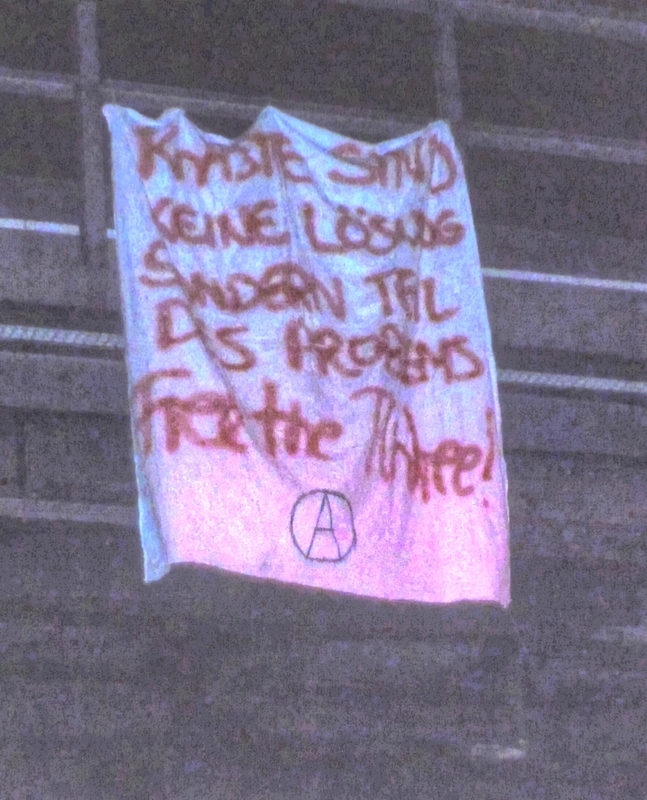 Solidarity with the prisoners of the Hambach Forest from Dortmund! 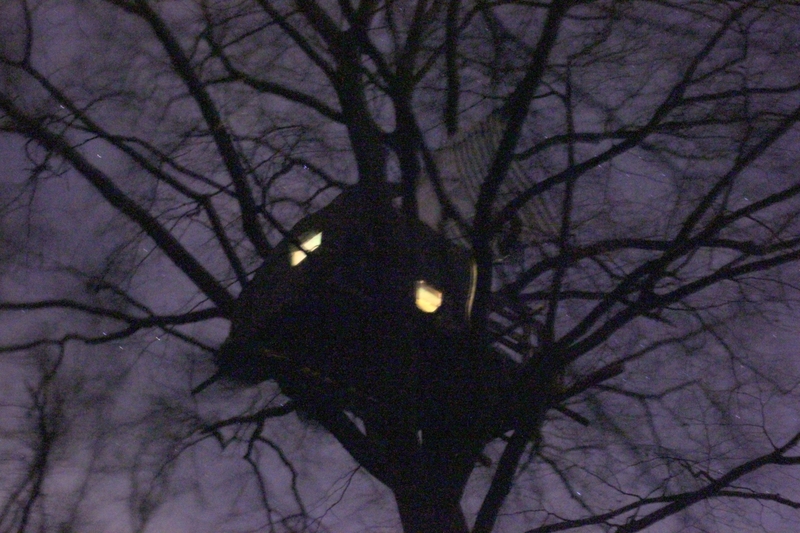 From Dortmund we send a sign of solidarity to the prisoners of the Hambach Forest! We agree with the slogan “Prisons are no solution but a part of the problem”. Fan the flames of solidarity in all cities, do not forget the prisoners… until all are free! 10:00 The people who were arrested in Düren yesterday, now are all free again. They were detained for dumpster diving (!) for almost 24 hours! 8:00 Since this morning there is a new occupation in the grubbing-up area, which is called “Polar Express”. 13:00 Since noon today 3 persons are detained at the police station of Düren. They were arrested in Düren, the exact circumstances are still unclear. The police did not get any fingerprints from the cathedral action group. So also not their identities.